"hospitalityInside.com: The source of information about our industry. Up to date, short, distinct, precise, informative and focused on the essentials." "In the hotel industry in particular, there's an oversupply of publications and sources of information. Only few of them make the 'must have' category though. hospitalityInside.com is indisputably a 'must have' publication. In particular, I appreciate the quality of research, the excellent knowledge of the industry, wide specialist knowledge and the topicality of contributions made by a selected and competent editorial team. But hand on heart: With an Editor-in-Chief like Maria Puetz-Willems, I can't imagine it any other way. And the industry certainly deserves such a medium." 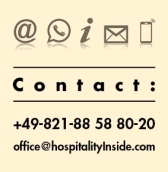 "hospitalityInside - a "must have" for everybody in contact with hotels. It is informative, accurate to a T and up-to-the-minute. An online magazine that distinguishes itself by its expert knowledge and being "inside" in an agreeable way. Its bilingualism is particularly outstanding, especially for an internationally active company such as Staycity." "There is hardly a segment of real estate development that has a more fast-moving market than the hospitality industry. Accordingly, reliable and immediate information about news and changes are of great importance. When it comes to hospitalityInside.com, I find what I need: an up-to-date market overview, news from and about the hotel groups, new players and brands on the German market and staff developments. Thank you very much, Mrs. Puetz-Willems, for supporting my work." "hospitalityInside.com – this means current market developments, news and especially background information for me; everything is well-researched and critically evaluated. For me, the online magazine is a must read every week, not only to know the facts, but also to read a specialised and qualified opinion provided by the editors about the 'hot' topics in our industry." "For me it's especially important to have my finger on the pulse of the trend and to understand where such movement is taking us. hospitalityInside.com provides valuable news from across the industry every week and has become a source of information which I would no longer like to be without. In particular, I appreciate that many subjects are tackled more extensively and that I am supplied with useful background knowledge. I would like to thank Maria Puetz-Willems and her committed team for the valuable service provided to us all and look forward to next Friday." "I have been a loyal reader of hospitalyInside.com for a long time. There are several reasons for this. On the one hand, it is important to have access to current information about our industry in our global and fast-moving world. hospitalityInside.com offers me this, especially through its online functions. On the other hand, there are only few media in the hotel industry, which detect developments and refer to future trends so early. However, these are the most important things for all persons in charge at the Falkensteiner Michaeler Tourism Group. As an internationally operating hotel and tourism business, we have to face the market conditions and are dependent on background information and detailed future-oriented industry knowledge. In this respect, hospitalityInside.com is of invaluable help. And finally, in the people's business "Hotel", we are interested in careers and the gossip in the industry as well. In this field, hospitalityInside.com has been informing us comprehensively for a long time now." "hospitalityInside.com is currently one of the media closest to the market in the hotel arena in Europe and for sure in Germany. It contributes to staying on top of the most important developments in the hotel world and is unfiltered. In addition it provides well researched theme-reports which are not only valid in the short term. The online concept avoids the unnecessary paper storage in the office and proves the "sustainability" aspect, so it is very current. We hope the Insiders will keep their edge." "Current, carefully investigated and always on the point: As I know and value hospitalityInside. Every single issue not only helps me in always staying up on the latest conditions, but also in recognising the coming trends early. And thanks to the electronic version, all information is available to me anytime and anywhere." "On Friday morning, I start my day in the office with coffee and hospitalityInside.com. The individual sections are well researched and in all contributions, the longstanding experience and professional competency are always obvious. In my opinion, the personal contacts Maria Puetz-Willems and her team constantly maintain and cultivate are decisive. Honest and high-quality coverage is dependent on this trust. And now, I look forward to the next issue." "For years now, I have appreciated the online magazine hospitalityInside.com as a valuable source of information with in-depth and meticulously researched topics, absolutely critical, always with one finger on the pulse of the time, very focussed and always seeing the bigger picture, which is very important for us. 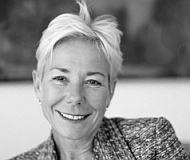 Through her publications, Maria Puetz-Willems makes sure that our segment of serviced apartments is repeatedly the focus of public attention – thank you very much." "First of all, I want to congratulate you on your idea of developing an important and efficient information instrument for the hotel industry! I have great respect and acknowledge your courage and especially your stamina to carry on despite, I'm sure, a difficult start-up phase. Especially for professionals working in foreign countries, hospitalityInside.com is an up-to-date and interesting media for obtaining information about the industry in the German-speaking countries. However, I would welcome yet more critical journalism. Do not consider subscribers! I wish you continued success and the courage to pick up on sensitive subjects as well." Human needs change. In the hotel industry, we have already prepared ourselves for this fact and we are continuously reviewing our range of services. Feedback from our guests, staff members and business partners is very helpful. But it is just as important "to see the bigger picture" and look into the diverse world of the national and international hotel industry. hospitalityInside offers valuable insights and background information on matters happening outside of our own hotel lobbies. Every week, apart from specific information about projects, products and innovative concepts, we get a good impression about developments and topics, which are to be expected within the next few years in the hotel industry. This background knowledge is very important to us as a medium-sized hotel operating company. The mixture of short news and in-depth articles or interviews has proved successful for us. "hospitalityinside is a must every week. Thanks to the online format and the publication on Friday, I am able to read news earlier than in other specialised media. The articles are red-hot, relevant and always well researched. In addition, hospitalityinside does not shy away from launching critical debates and examining uncomfortable topics in more detail." "hospitalityInside.com is a much appreciated medium, which provides information about the current circumstances in the market and explains them comprehensively. Background details are well-researched and documented." "I have been an avid reader of hospitalityInside.com for many years. In particular, I appreciate the thoroughly researched, fact-checked and substantial articles about our line of business. Time and again, Maria Puetz-Willems succeeds in giving objective and detailed insights - both topical and up-to-date - into business-related facts and specific information on the hotel industry. Based on her many years of experience as a journalist, she is only too familiar with our trade, and writes on a weekly basis - quite often with a barbed pen - articles that provide valuable and interesting inside-information for us hoteliers." "hospitalityInside.com is a quick and easy update on major changes in the hospitality industry. The electronic version is very convenient, as it can be read anywhere, even when you are on the run.."
"hospitalityInside.com is a great online magazine and source of information for any hotelier wanting to stay alert to how our industry is performing and evolving. Concise, efficient and most importantly objective. I always enjoy the probing and questioning letter by Maria Puetz-Willems and the way she touches on subjects others shy away from. 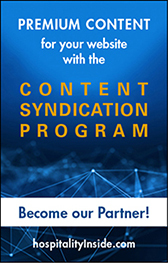 The overall content from news, columns or perspectives are valuable especially for a company like Rotana, which is on its way to expand globally." "hospitalityInside.com - I would call it, TOP OF THE POPS, a must read in order to get well researched, unbiased information on the hospitality world. Profound understanding of our business from owner to operator to independent to shareholder with excellent knowledge and understanding, always on top of whats happening. It provides me with wide spread topics on current issues from our hospitality world. The best for me on the German market, even discussing the gained information and insights with my colleagues as leadership is a team sport... and I certainly do not want to miss receiving the magazine every Friday." 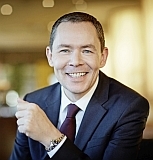 "hospitalityInside – as is valid in every profession – particularly in the hotel industry: The look beyond the horizons is enormously important. And hospitalityInside delivers exactly this look to me. I´ve utilised this magazine for many years – whether as a source of information or networking. Along with this, I particularly value the excellent reporting on the point that is always precisely investigated. One easily notices here that a highly professional editorial team is at work. I cannot imagine hospitalityInside no longer being there for my professional reading." "hospitalityInside belongs among the very rare publications that I read regularly and with pleasure. Among all of the providers, they distinguish themselves with a high topicality, likewise in international events as well as with critical and well-crafted journalism. Maria Pütz-Willems and her team are close to the market events and are very well connected so that their articles are not only the first on the subject, but also communicate comprehensive insider´s knowledge. hospitalityInside is clearly a must-read that I look forward to." "hospitalityInside.com is an important and independent source of information for me. It takes up current questions of our industry and does not just copy the same source reports and rumours, but rather takes a look behind the scenes, does its own research and provides its readers with insights, which are a little more profound than the information provided by other media whose core theme is the hotel industry. At the same time, it remains objective and fair. As hotel manager and hotel operator in the past and at the business consultancy and recruitment agency now: I always find new and interesting articles here, which arouse my curiosity to pursue certain subjects further. I always look forward to the message on Friday announcing the new issue of hospitalityInside.com!" "Every week on Friday, I await hospitalityInside.com's newsletter in the morning, just like the industry. Once a week, I take the time to look more closely behind the scenes based on well-researched background reports and interesting information that gets to the heart of the matter with refreshing criticism. For these reasons, the magazine is also quoted in other media on a regular basis. Therefore, a research enquiry by hospitalityInside is always a special challenge and a professional pleasure at the same time. Here, thorough journalistic work is very important and provides for an interesting, profound and also controversial exchange on the respective subject. hospitalityInside is indispensable on the weekly radar of the decision makers and multiplicators in our industry." "hospitalityInside.com has its finger on the pulse on what is happening in the hospitality market, especially Europe and Germany. For me it's an essential source to get quick updates on trends and backgrounds and I like the investigative nature which does not mind asking critical questions and analysing and often challenging the status quo. Very up to date and always timely. Looking forward to continue reading hospitalityInside every Friday." 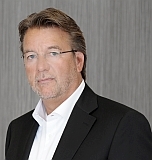 "For me, hospitalityInside.com is an ideal completion of the Austrian industry media. It is a critical, short and to-the-point platform and brings me up to date in terms of the international hotel industry and leisure economy. For our resort hotel with a focus on well-being, the "Health & Wellness" column is of particular interest. The "hospitalityABC" is always worth reading, as special terms are summed up and well-explained." "For many years, I’ve been following the journalistic work of Ms Puetz-Willems with great interest and excitement, and I’ve been an enthusiastic and loyal reader of hospitalityInside.com since the first issue. In keeping with the electronic medium, you often get first-hand information, and benefit from both speed and the well-founded research. If this online magazine did not exist, it would be missing!!" "My first mail on Friday morning normally comes from hospitalityInside.com and is always highly welcome: news from the industry and background information researched in a competent and careful way, presented in a critical and fair form." "I'm very glad that I am among the first subscribers of hospitalityInside.com. What once began as a highly promising project can be called one of the online media highlights in our industry. With its flawless research, topicality and the right key aspects, hospitalityInside.com always keeps me up to date." 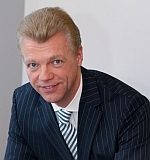 "For me as Managing Director at Excelsior Hotel Ernst, hospitalityInside.com is very interesting, as the magazine always provides the most current news from the hospitality industry. The published articles meet the hotel industry's spirit of the time and are always meticulously researched. Mrs. Puetz-Willems and her team do not treat important subjects superficially but go into depth on the issues." "Up-to-dateness und objectivity, information and research, trends and ideas, numbers and portraits are the keywords that come to our minds when we think of hospitalityInside.com. Over and over again, we look forward to the interesting and concisely prepared bulletin from the industry which arouses our curiosity and is a pleasure to read." "As a project developer and general planner, the range of information within hospitalityInside´s newsletter and website is a very good platform for me in the procurement of information. With news from the areas of design, concepts, financing as well as personnel and economic changes in the hospitality industry, it is continually possible to check the planning and conceptual strategies with the constantly changing market and adapt them when necessary." "Since the launch of hospitalityInside.com, I look forward to the news from the industry every Friday, presented in a way that satisfies my need for information: clear, specific, well-researched and always available, even on trips. Especially the genuine insider character is a real benefit. Moreover, while reading the news, you see very clearly that no potential advertising customers have to be taken into consideration. Therefore, I'm glad that with hospitalityInside.com there is a magazine in the industry that can do without lengthy special reports about "coffee specialities" or similar things and is able to report on subjects that are really interesting to me. Keep it up!" "In a time like ours that is so fast-moving, it is important to have some well-selected information sources distinguishing itself through competence, latest news and professionalism. This certainly includes the hospitalityInside.com online magazine, which I enjoy reading regularly. You are always up to date and you get concise insider information about the tourism industry you would not find in any general economic newspaper or magazine on an international or national level. hospitalityInside.com is a medium for managers and all those interested in tourism, and is something we should not do without in our industry." "Each Friday, I really enjoy the individual columns of hospitalityInside.com and I always get to know true news from the industry. A medium that manages to quickly inform the readers and an editorial team that provides good-quality research and comes with long years of experience inside the industry. Reliable, interesting and with a wide variety. For me: well-made industry information." "I've known and read your "Internet newspaper" for a long time now. In my opinion, the special attraction of your information is that I get a very quick overview about the news of hospitality with the headlines in your weekly mail. Due to the flood of daily publications and information, it is crucial for me to work quickly and rationally. Your articles are well-researched, teem with insider knowledge and are often red-hot. Photos of people or hotels complement the articles appropriately. I gladly use the databases of your Internet newspaper if I quickly need research material on the spot. Conclusion: the existing subscription will certainly be prolonged!" “For many years, I have valued hospitalityInside as one of the publications that I can count on. Brief, concise, informative – not only all-encompassing information, but also solidly investigated background analyses. "....topical reporting, good research and a great style of writing contribute to the success of hospitalityInside.com. Keep up the good work. I'm already looking forward to your next issue!" "hospitalityInside.com has belonged among the most important sources of information for me for many years. As an adviser as well as a lecturer, I value the well-investigated articles as well as the many critical looks at the events and developments within the industry. This distinguishes good journalism in that one more classification occurs in the pure passing on of information and the "other side" is illuminated so that I can form an opinion. Fortified with numerous facts on the most important players, people, figures and trends, the online magazine has risen just as I would wish it to be. Thanks to the competent editorial team!" "Well-researched subjects, brief and concisely presented and always analysed with the necessary background knowledge: this is hospitalityInside.com for me. Even if sometimes there is only enough time for the headlines, I'm always up on the current state of affairs. I'm grateful for the reliable inside knowledge of the editors and the good journalistic work of Maria Puetz-Willems and her team. Every week, I look forward to the new issue with important topics pertaining to the industry – keep it up!" "For me, there are a sources of information that I absolutely trust. I know from these sources that their written content is critical but fair, independent and thoroughly researched and that top industry experts are at work. hospitalityInside.com is such a competent source of information for me. I look forward to checking my mail each Friday and finding the current issue of hospitalityInside.com. Even when I`m on the road, I know: I`m being informed on current issues. The "maker", Maria Puetz-Willems, takes responsibility for sound background knowledge about the industry and for the quality of this medium. I wish her and the entire team lots of energy and success for the future in order to establish the still young information medium as a "must have" of every hotelier." "hospitalityInside.com is obligatory weekly reading, it combines specialist subjects with insider know-how and great depth of knowledge. The facts and trends reported by hospitalityInside.com make it essential for anybody taking decisions in the tourism industry. As a modern medium, hospitalityInside.com guarantees its international audience top current knowhow - a recipe for success that can be seen!" hospitalityInside provides topical, relevant, well researched and prepared facts about our industry, which are of great advantage for our daily actions. The extensive investigations show the closeness to topics and markets and always offer more than just a headline. "I have come to appreciate hospitalityInside.com for its straight-forward journalism. Where others resort to gimmickry, it offers relevant and timely news that comes across as well-researched, to the point and genuine. The journalists at hospitalityInside are obviously not afraid of stepping on toes – and for that they deserve a big thank you." "What's particularly good about hospitalityInside.com is the fast spreading of hot-from -the-press news. Experts of the hotel industry are well-addressed and informed in an optimal and reliable way. The reports are factual, competently written and put things in a nutshell using clear language. New topics are often initially recognised and then enlarged upon. In this way, hospitalityInside.com creates transparency for the national and international hotel market. Behind the scenes at hospitalityInside.com there is a very nice highly competent expert, who researches without compromise, but always acts fairly and decently. I look forward to sound information and "breaking news" in the industry every week. That's why I don't want to do without hospitalityInside.com and I wish Mrs. Puetz-Willems and her team continued success in the future." "hospitalityInside.com is an online magazine of the industry that finally offers more than the usual newsletter service or meagre short information. Therefore, it has been used as a reliable media source for some time now. With its many different subjects and categories concerning the international hotel industry, the platform offers a wide range of information about all parts of the industry. It is obvious that the articles are based on qualified and extensive research as well as well-founded knowledge. 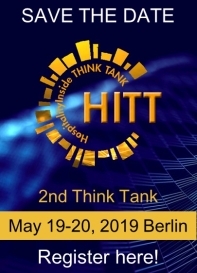 The expertise of Maria Puetz-Willems, Editor in Chief, becomes obvious here; she has proven her knowledge and her connections in the industry at large conferences such as the ITB or Expo Real for years. For me, especially the online accessibility of hospitalityInside.com is a great advantage: the information is not only easily and comfortably accessible - also while travelling - but it is always up-to-date. Thanks to the preparation and structuring, every target group is able to find the right information quickly, and it is up-to-date both in German and English." "With interest, I've been reading hospitalityInside since the beginning. I was particularly delighted about the fact that the issue of "marketing real estates via .... (e.g. freehold, fractionals, timeshare, clubs etc.)" has become a fixed topic in your magazine. Many companies have recognized the value of being able to access an up-to-the-minute knowledge database allowing research to be carried out in a profound and objective way, as it is not necessary to do the splits by generating a certain turnover through advertisement. I wish hospitalityInside many new readers and a good hand in terms of choosing topics." "Topicality, reliability and competence - nothing more but also nothing less makes hospitalityInside.com required reading of hospitality concepts every Friday. Especially remarkable: the range of topics on the one hand, and genuine insider profoundness with details on the other hand! Excellent, Maria!" "hospitalityInside is what I want an industry magazine to be: All of the important industry news in a clear and compact form in addition to solid background reports with a well-arranged serving of insider's knowledge. With this, hospitalityInside helps me to keep track and to gain new ideas. A pleasure every Friday - Thanks, Maria!" "The importance of our industry is often underrated. It is all the more essential that we have a corresponding network to exchange information and react to changes at an early stage. In addition to this network, there are various associations and institutions but also media networks. Here, hospitalityInside.com is taking shape as a highly efficient and up-to-date information network. In a simple and precise way, information can be accessed within a short period of time and play a role in decision making." "As general contractor specialised in hotel refurbishments, we certainly follow the daily events in the brand hotel industry. We live from converting trends and technological developments of this design-affine and fast-moving industry into turn-key solutions. In the abundance of daily information, I especially appreciate hospitalityInside's objectively sound and to-the-point coverage. Mrs Puetz-Willems and her team are at the heart of where it is happening – compliments for professionally investigated information about planned transactions, real estate investments and news at the management level. This industry insider magazine is a must for me and enjoyable to read." "I often glance over the online magazine and appreciate it above all because it is highly topical. In this way, I'm always up to date with news that I find interesting and consider researched in a very good and objective fashion." "hospitalityInside.com always keeps me well informed on current and trend-setting developments in the international hotel industry. I appreciate the well-researched reports based on profound knowledge, experience and excellent contacts supplemented by professional and independent background information on specialist and industrial topics. Any form of honest, investigative journalism is good for any industry. It shores up quality and creates potential to recognise and exploit trends." "Since the launch of hospitalityInside.com, I've been a loyal reader. You are selective about the newspapers you read and I can tell you today that you'll never regret the time you spend on this website. I consider its content to be highly interesting, instructive and informative. It informs me quickly about recent developments and I always learn something new. The articles are concise and accessible from everywhere thanks to the magazine's online appearance. My expectations are met." "Being one of the first subscribers, hospitalityInside.com has been on my Internet favourites list since 2005. Maria's publication is a true enrichment for our industry and Fridays are hard to imagine without it. I particularly like the topicality on an international level, the diversification of topics including explosive content, the great expertise of the editorial team and the outstanding independent tourism contacts combined with no advertising and two languages. This is professional and fair journalism. I would like to thank the entire team. Keep it up!" "For quite a while now I've had an obligatory appointment each Friday morning. Nevertheless, I keep this appointment with joy. My first click is "Surfing Maria". 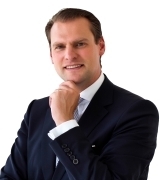 I congratulate our industry on this new medium and Maria Puetz-Willems on her courage to become independent with hospitalityInside.com without advertising. She maintains her style: hard but fair, well researched and realised in a journalistically accurate way. Of course I sometimes wonder how Maria once again found out about this and that, but then I'm glad that I'm also an insider and she shares her information with me." Reports based on fact, insider knowledge and current topics and trends on a regular basis make hospitalityInside one of the industry's most important sources of information. The news is concise and professionally summarised without losing its critical approach. The reports are accurately researched and bear witness to a good network and insider knowledge. It has been a must for years. Thank you very much! "Every Friday, hospitalityInside.com offers me a quick and extensive overview about current events, statistics and trends in the hotel market. Compactly prepared articles are the result of investigative, reliable and in-depth research. The topicality and exclusiveness of the information remains unparalleled compared to the competition; therefore hospitalityInside.com is my number-one information medium within the industry."